The customer, a leading Geographical Institute in Belgium and some more countries in Europe requires AABSyS to prepare a 3D model from a part of Belgium. The customer possess data sets in form of the contour information as the survey data. The hard copies of the data supplied by the customer were scanned to use as a reference for heads-up digitization of the provided maps. The digitization of the all the maps was done using AutoCAD 3D Map. The team at AABSyS ensures that different features such as roads, railways, rivers, streams and contours are digitized in individual layers. Z-axis value was assigned to each contour line. The customer was consulted for the missing height of contours and data file was created using the AutoCAD Land Development Desktop. The Triangulated Irregular Network (TIN), a necessary step for creation of 3D Digital Maps, was created from the contour map. Once the TIN for the particular area was created, various 2D-thematic layers such as roads, railways, rivers, and streams were then overlaid over it. AABSyS is equipped with the right software for the creation of contours and terrain models from the contours. The team at AABSyS used high end, up-to dated software such as AutoCAD, ArcFM, and ERDAS Imagine etc. to complete the given task. Few indigenous auto lisp routines were developed in order to expedite the drafting process and assure quality assured 3D Digital Maps. 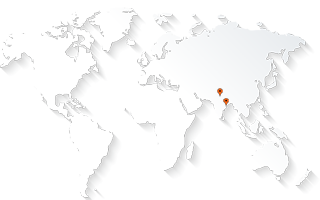 AABSyS has been providing of 3D Digital Mapping services for many years now. The client, a leading Geographical Institute located in Belgium. The flawless 3D Digital Maps provided by AABSyS were useful in making informed decisions. The client appreciated the work done at AABSyS as the deliverables were provided in a time bound, cost effective manner. An extensive quality assurance procedure ensured delivery of perfect 3D Digital Maps.